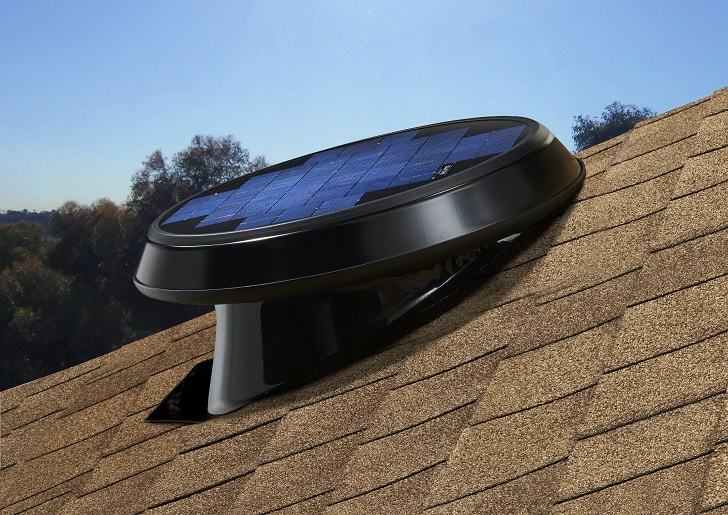 Solar attic fans are just one of the types of fans which can help you provide proper ventilation in your attic area. 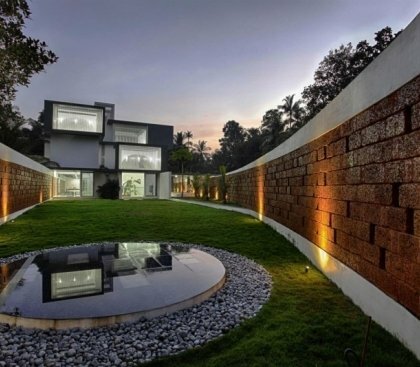 Nowadays, energy saving is a main concern for many manufacturers, homeowners and energy saving technologies are developing not only in the field of new energy sources, but also in the ways to reduce energy consumption. The main sources of alternative energy are the sun (solar energy), wind and water. Solar energy is used in solar cells, wind energy – in a windmill or wind generators, and water is used in hydroelectric power stations. These alternative energy sources are used to generate electricity which is distributed to customers. 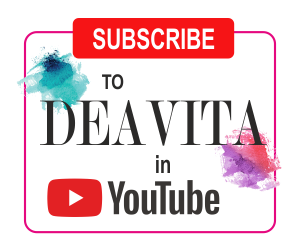 With reference to reducing energy consumption and optimizing the heat control in residential homes we would like to turn your attention to attic fans and solar powered ventilation, in particular. Pros and cons of attic fans – what is important to know? 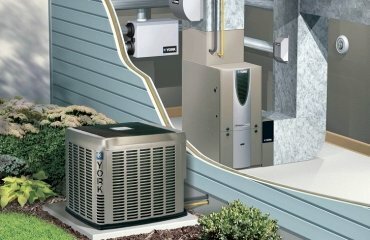 What is the purpose of attic fans? 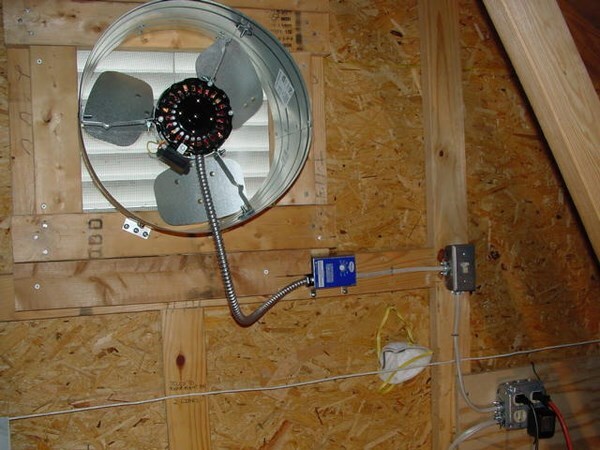 Why do you need an attic fan? 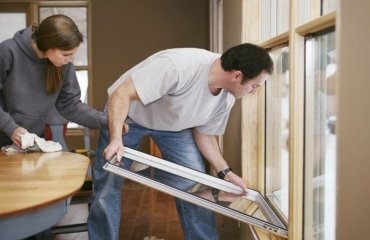 We shall give you the answers to these questions and look at the different types of attic fans and their advantages and disadvantages. In general, the idea of attic fans is to exhaust hot air from the attic and save energy by reducing the period of running time of the air conditioner. 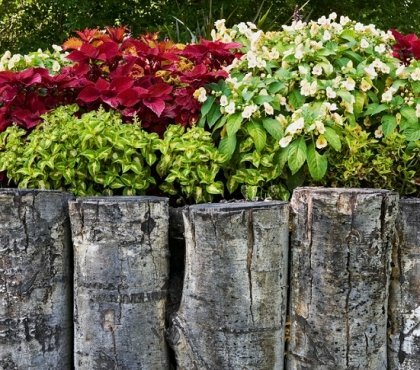 They come in two main varieties – powered by electricity or solar energy and while the main idea is energy preservation, solar systems do not need electricity to operate. A third option is the wind-powered fan which is driven by wind. 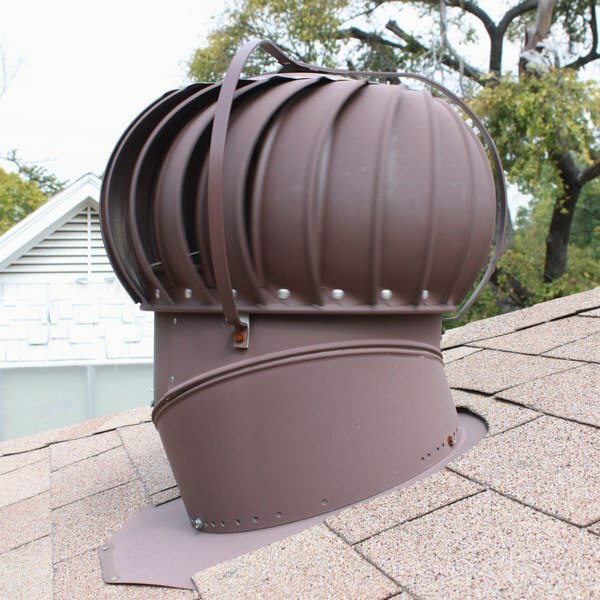 Why do you need an attic fan and how to choose the best attic fan type for your house? 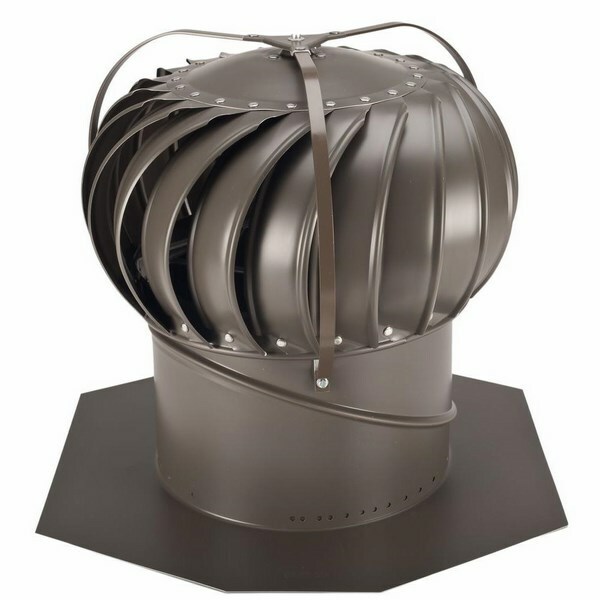 Having an attic fan allows you to control the temperature of your attic and makes the attic area a pleasant space. For homeowners who would like to extend the living space of their home and convert the attic into a living area, temperature control is essential. In addition, attic fans help reducing the overall temperature in the house as well as lower the levels of humidity. The control of humidity levels is of great importance as moisture is the main reason for mold growth. 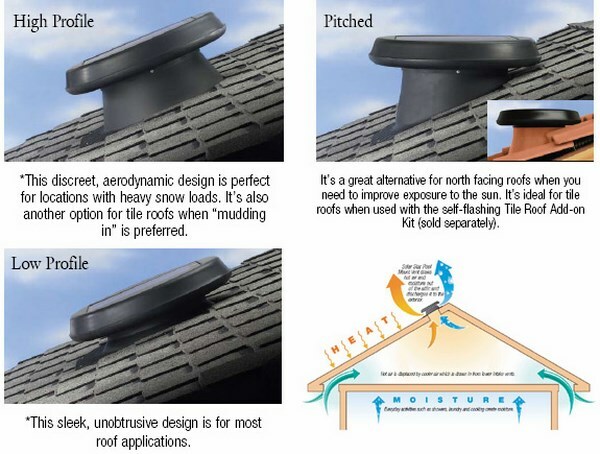 Due to the fact that attic vents require an initial investment, it is important to realize that their effectiveness and performance strongly depends on the type of fan as well as on some external factors like the type of the roof, the color of the roof, the insulation of the house as well as the type of cooling system. 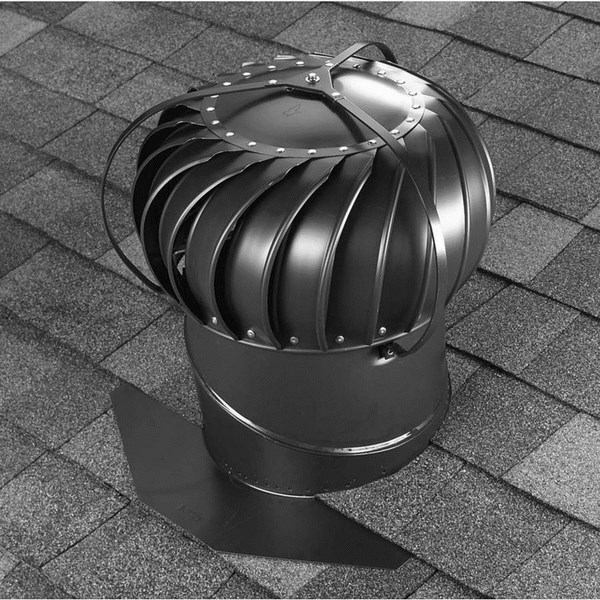 High quality roof mounted vents should have a durable, metal construction, a thermostat which operates the fan, a pest repelling screen and a motor. A major disadvantage of attic vents is the noise and despite the fact that latest models are advertised to operate quietly, if you are sensitive about noise, you should consider carefully the type of fan, especially in proximity to sleeping areas. 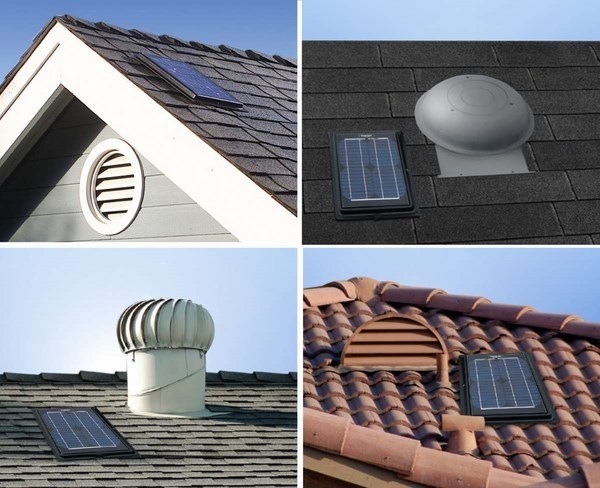 As we said, there are three main types of attic fans – electric, wind and solar powered attic fans. 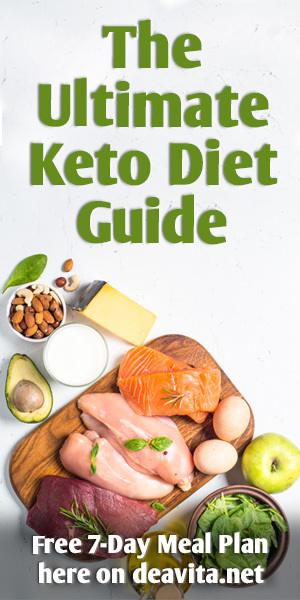 Let’s look at their main advantages and disadvantages and compare the different types. Electrical attic fans need constant electricity supply and move a lot of air. Usually they are equipped with thermostats which turn them on and off based on the temperature of the attic and control the energy consumption. However, electrical attic fans require more energy to operate compared to the other types of attic fans. The major advantage of electric attic fans is that they do not depend on the sun and will operate on a cloudy day without disruptions which provides a constant cooling of the attic. In terms of environmental friendliness, electric attic fans are not the best solution as energy is largely generated by non-renewable, polluting sources. 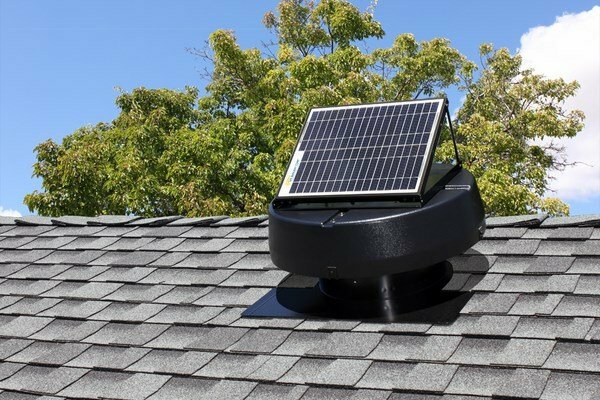 Further to that, the installation of an electric attic fan involves wiring which requires professional installation and this will add to your cost. 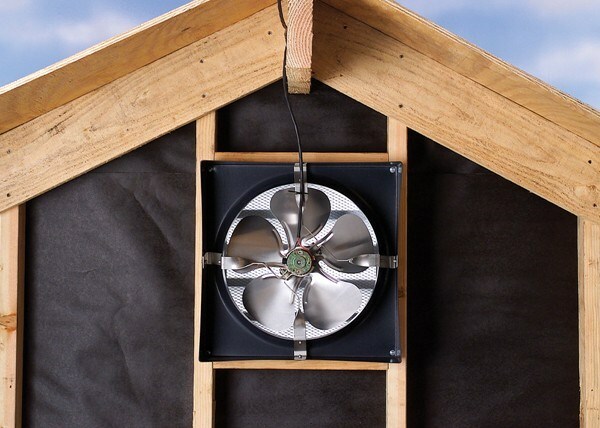 Wind powered attic fans, also called roof turbine vents or whirlybirds, use natural energy to operate and are a good choice for people who care about electric energy consumption. The construction of wind powered fans does not have a motor and they have some moving parts – rotating fan blades – which classifies them as “static”. 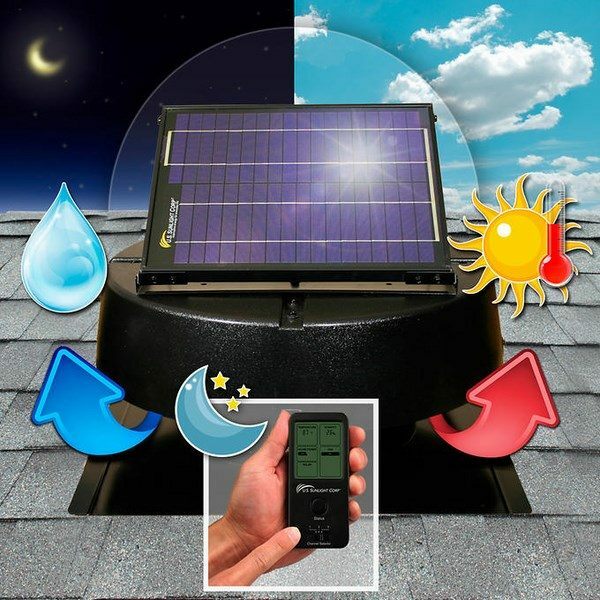 Wind powered attic fans are capable of exhausting a lot of air but their performance depends on wind speed and they are not efficient during the hot parts of the day. At high wind speed these fans work excellently but low wind speed reduces the efficiency. 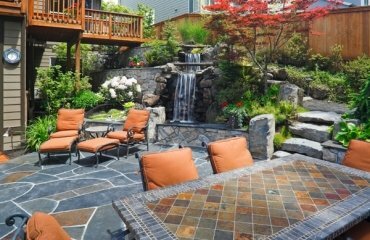 The major advantage of the wind fans is that they use free and renewable resource as a power source. Before investing in a wind powered attic fan, you need to consider whether your house is in a sheltered location or exposed to winds. 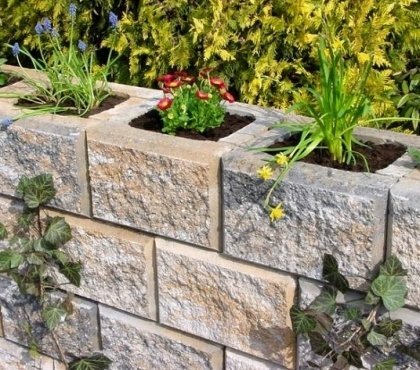 High quality wind powered vents will work effectively for years, but since they come in different degree of quality, it is recommended that you invest more money to make sure that your investment is worth. 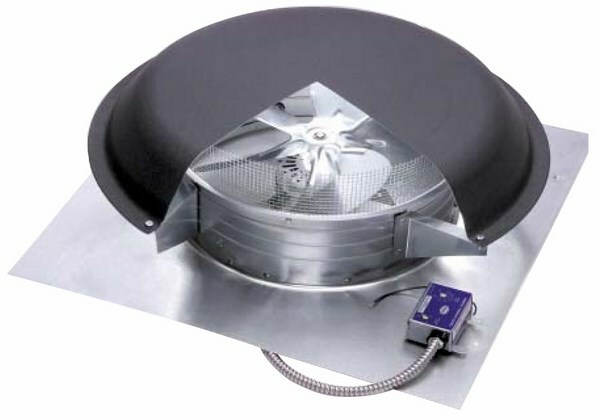 The main disadvantage of these attic fans is that they are noisy, especially when the moving metal parts age. Experts advise that you invest in aluminum turbines as they are not susceptible to rust. When the ball bearings are lubricated and sealed the chances that your fan will get rusty and squeak are lower. 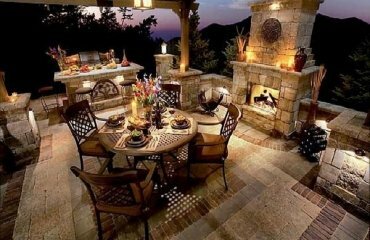 In addition, they are not suitable for all types of roof pitches and you have to be sure that the fan will work with your roof construction. 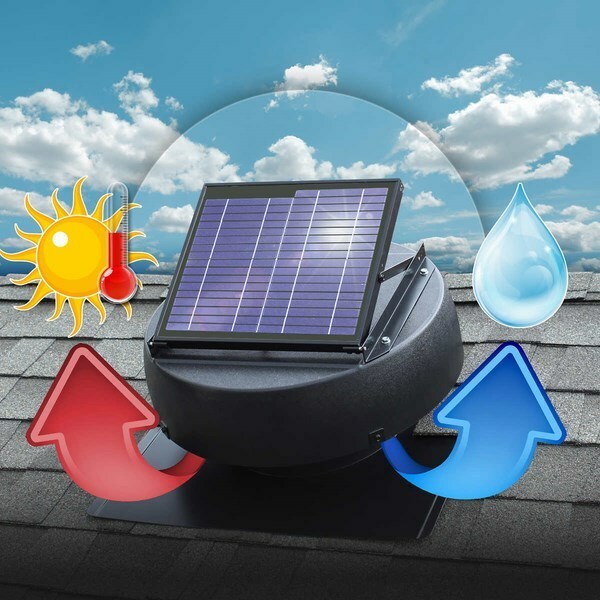 Solar attic fans are considered as an example of a simple and energy efficient way to cool your home. Solar energy is a renewable resource that does not cost you a penny and combining solar panels with a roof fan is a brilliant idea and an environmentally friendly ventilation solution. You do not need wires, do not waste electricity, solar fans are easy to install and operate. The fact that you do not power your attic fan from the electricity supply lowers your energy bills and reduces energy consumption. 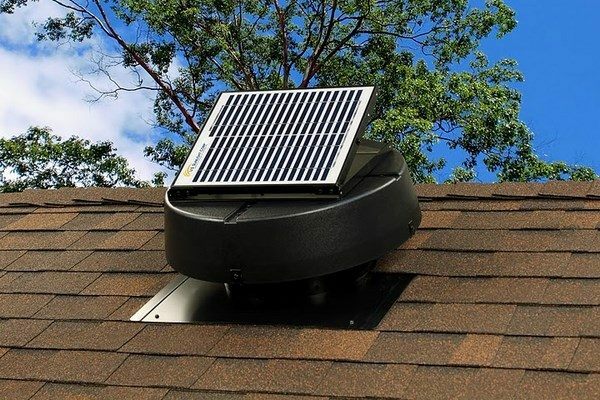 One of the main advantages of solar vents, besides the environmental friendliness, is that they are cheaper to install than electric fans and you can do it as a DIY project if you feel confident enough. You need to install the fan unit in a hole on the roof and it is ready to go. 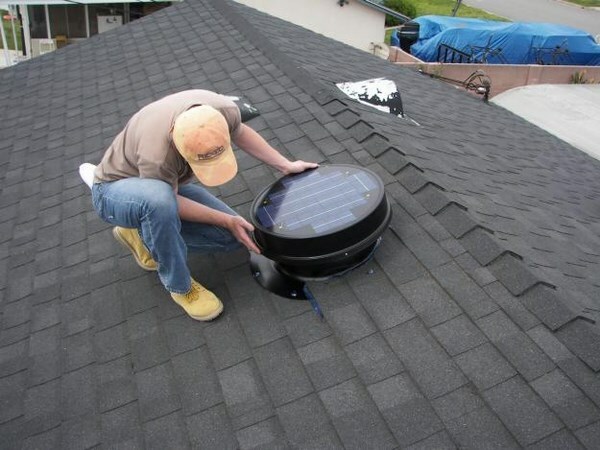 This makes solar fans especially useful in areas that are difficult to access. 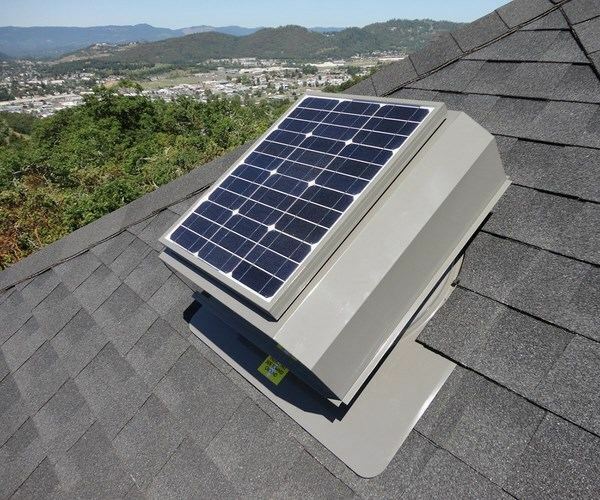 In addition, solar fans are much quieter that the other types of attic vents and most solar panels come with an extensive warranty period – 20 or 25 years. Due to the fact that there is no wiring or breakable elements, solar fans are considered to be maintenance free. 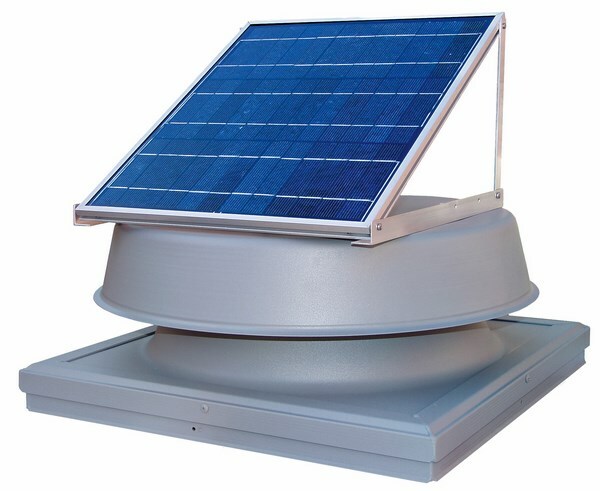 Solar fans come in a range of profiles – high profile which is suitable for installation for areas with heavy snow loads, low profile fan, which can be installed on almost any type of roof, and pitched profile which helps improving the exposure to sunlight. 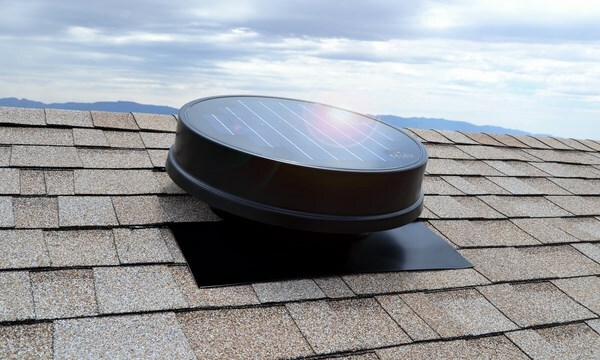 Solar attic vents cannot operate without sunlight and they need an unobstructed view of the sun. The pitched profile and opportunity to improve exposure to sunlight are important because when the sun is not enough, the fan spins slower which makes them inefficient. Solar fans can move as much air as an electric fan but their performance is dependent on sunlight and can be limited by heavy clouds or dense tree branches. Obviously during the night their effectiveness is much lower. Most manufacturers offer an addition to the solar fans which allows you to connect them to the house electricity which means that your fan will be able to function after dark. 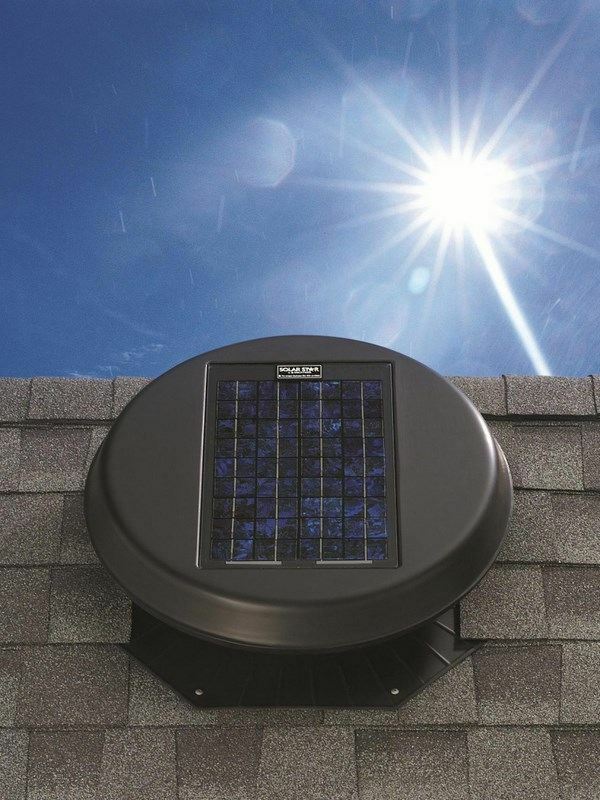 When choosing a solar attic fan check if it has an adjustable solar panel. 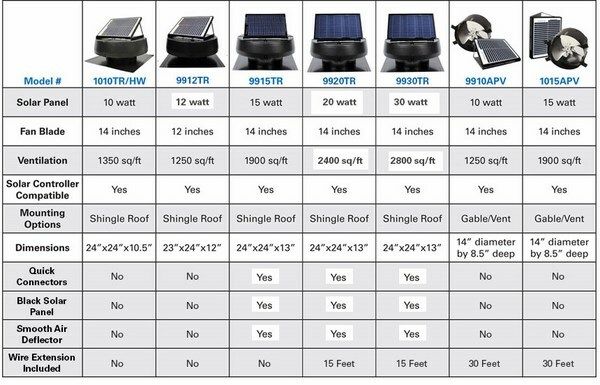 Some models do not have such a panel which may affect the performance of the fan especially if your roof is not at an angle to maximize sun exposure. 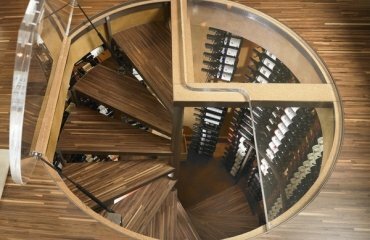 Another important consideration is the size of your attic. Larger space would need more than one unit. If you are not sure, consult with a specialist so that you do not waste your money. As you see, you have different options for attic ventilation which will keep your attic space cool and dry and will save you money. 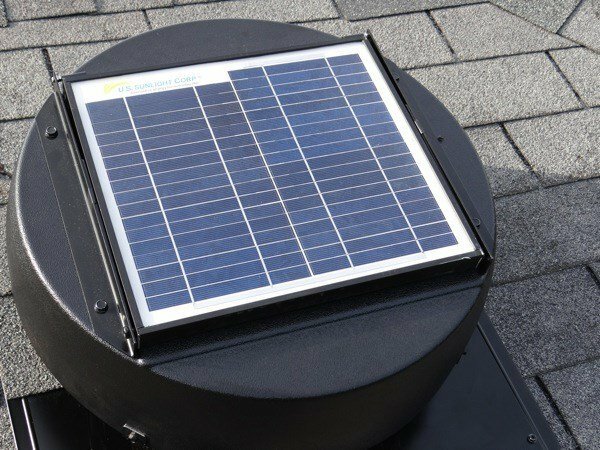 The market offers electric attic fans, some more powerful than others, but they are more expensive and should be installed by a technician. Solar fans are reliable, easy to install, environmentally friendly and you get power and performance and at the same time you save on energy and costs.